We know that your Kia means a lot to you. So, when it’s time for regularly scheduled service, maintenance or repairs, our high-tech on-site Service Center is staffed with skilled mechanics who will treat your vehicle with the professional care it deserves. Plaza also has an extensive inventory of genuine OEM components available. Whether you plan to do an at-home project or would like us to install them for you, we will happily assist you in getting the proper parts for the repair. The Plaza Kia Service Department’s main goal is to get your Kia back on the city streets in excellent shape as quickly as possible. For decades, drivers from all over Brooklyn, Queens, Bay Ridge, Staten Island, Manhattan, Bronx, Nassau County, and the surrounding New York areas have been visiting Plaza Kia to find great deals on new Kia models, certified pre-owned, and used cars from many different automakers. We created our website for our customers to use like a virtual dealership. Thanks to our fully stocked inventory, drivers from all over New York City can find a competitively priced vehicle that compliments their search requirements and schedule a test drive at their convenience. Also, save time by valuing your trade, or applying for financing ahead of time. Our factory trained service technicians will make sure your vehicle is in excellent shape and will assist with a range of maintenance requests. 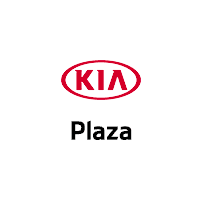 Plaza Kia also has an extensive inventory of genuine manufacturer parts available. Feel free to schedule a service appointment now. Why Buy at Plaza Kia? Enjoy a stress-free Kia shopping experience with a team of friendly salespeople who can’t wait to share their knowledge with you! Plaza always carries the most popular models, like the Kia Optima, Forte, Soul, the roomy Sorento, Sportage and the all-new Kia Stinger GT. We also offer a variety of discounts, as well as a great referral program. Head to Plaza Kia in Brooklyn, NY today to learn more!